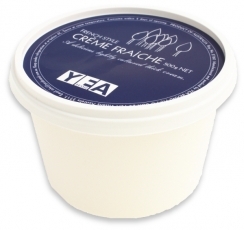 Creme Fraiche is a lightly cultured cream used in deserts, sauces and all sorts of savoury applications. One of the Chefs secret weapons and much used in the finest establishments all around the world. Yea Brand Creme Fraiche rivals the best in quality and consistency of any European import.